Yosemite, open to the public? Apple isn't in the habit of releasing public betas of new OS versions. In fact, it's been over a decade since it has. 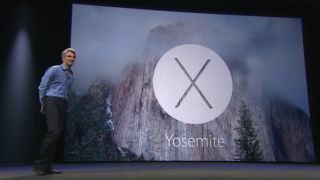 But that changes with OS X 10.10 Yosemite, which will enter public beta this month, reports 9to5Mac. Apple previously said a public preview of Yosemite would take place by the end of summer. The same sources told the site that a new developer preview of iOS 8 will arrive today as well, though the report is tempered with a warning that "these plans are fluid" and might change. (Update: It did indeed arrive to developers). Because plans could change, the OS X Yosemite public beta might be pushed back to early August because Apple reportedly wants to make sure the OS is ready for the mass consumption. Yosemite brings a number of changes to OS X, including interface tweaks, better Spotlight search, increased iOS synchronization, and improvements to various apps. The completed version of OS X Yosemite is scheduled to arrive this fall.